Rising numbers of children are going to school on an empty stomach, according to a new report. Four in five teachers (79%) claim their pupils are turning up for lessons hungry, with more than half (55%) saying the numbers have increased in the past year. Two-thirds of 500 teachers surveyed (68%) said the main reason was parents not caring if their children have a decent breakfast. Some 57% of teachers suggested a lack of money was to blame for pupils not being fed at home. Many teachers end up buying food for youngsters out of their own pocket in a bid to help, the report found. Nearly one in three (31%) of those questioned said they take food into school to give to hungry pupils. 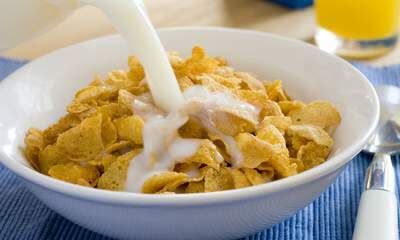 The report, by Opinion Matters for cereal maker Kellogg's, says 13% of primary school teachers apparently spend up to £24.99 a month feeding youngsters. It warns that arriving for school hungry can impair a child's concentration, cause behavioural problems and affect learning. The report suggests breakfast clubs are a cost-effective way to ensure children eat before lessons. But it adds many clubs in schools across England have closed in the past year due to a shortage of funds. Karin Woodley, chief executive of education charity ContinYou, said: "Many families are really struggling financially and, in extreme cases, this means that there simply isn't enough food to go round. "Breakfast clubs can provide a lifeline for these families, so we're extremely concerned to hear that many are being forced to close." Earlier this year, a survey by the Association of Teachers and Lecturers found young children in England are being served "very small" school dinners and given a limited choice despite paying more for their meals. It revealed almost a third of teachers do not believe school meals are value for money, with some warning that pupils are often being given chips, pasta and rice rather than vegetables and salad. It also found there had been an increase in free school meals - a measure of poverty - as more families were hit by economic problems. The report comes as separate figures suggest number of the UK's poor and destitute receiving emergency food aid has almost doubled in the past six months. The Trussell Trust, the country's largest organiser of food banks, said that from April to September nearly 110,000 adults and children were referred for emergency help by professionals such as the police, social workers and job centre advisers and GPs. :: The Opinion Matters survey for Kellogg's questioned 500 teachers between August 7-21.